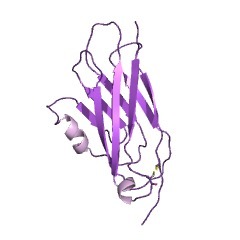 The domain within your query sequence starts at position 1475 and ends at position 1564; the E-value for the A2M_recep domain shown below is 1.03e-36. 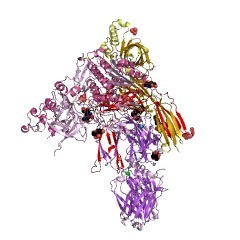 This family includes the receptor domain region of the alpha-2-macroglobulin family. 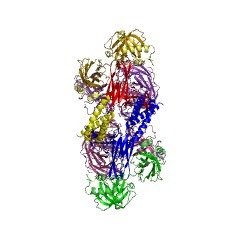 This entry represents the receptor-binding domain (RBD) of alpha-2-macroglobulin proteins. 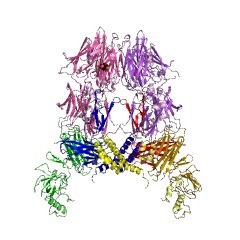 The RBD is located at the C terminus, its structure having an immunoglobulin-like fold consists of a sandwich of nine strands in two sheets with a Greek-key topology [(PUBMED:11106161), (PUBMED:9634697)]. 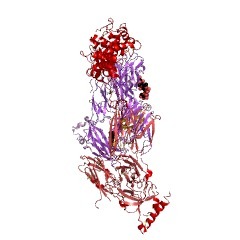 The alpha-macroglobulin (aM) family of proteins includes protease inhibitors [(PUBMED:2473064)], typified by the human tetrameric a2-macroglobulin (a2M); they belong to the MEROPS proteinase inhibitor family I39, clan IL. These protease inhibitors share several defining properties, which include (i) the ability to inhibit proteases from all catalytic classes, (ii) the presence of a 'bait region' and a thiol ester, (iii) a similar protease inhibitory mechanism and (iv) the inactivation of the inhibitory capacity by reaction of the thiol ester with small primary amines. 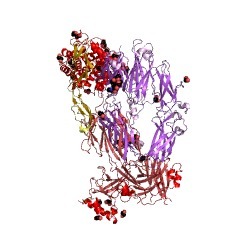 aM protease inhibitors inhibit by steric hindrance [(PUBMED:2472396)]. 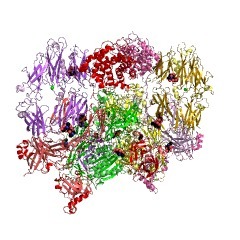 The mechanism involves protease cleavage of the bait region, a segment of the aM that is particularly susceptible to proteolytic cleavage, which initiates a conformational change such that the aM collapses about the protease. 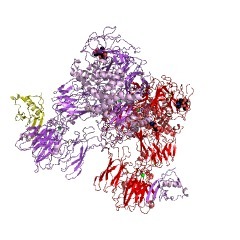 In the resulting aM-protease complex, the active site of the protease is sterically shielded, thus substantially decreasing access to protein substrates. 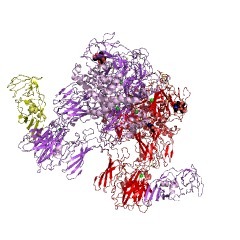 Two additional events occur as a consequence of bait region cleavage, namely (i) the h-cysteinyl-g-glutamyl thiol ester becomes highly reactive and (ii) a major conformational change exposes a conserved COOH-terminal receptor binding domain [(PUBMED:2469470)] (RBD). 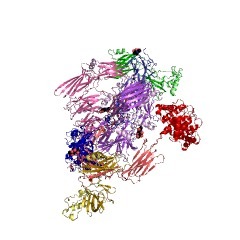 RBD exposure allows the aM protease complex to bind to clearance receptors and be removed from circulation [(PUBMED:2430968)]. 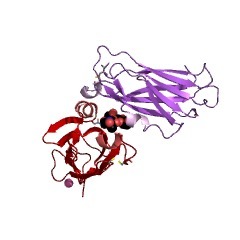 Tetrameric, dimeric, and, more recently, monomeric aM protease inhibitors have been identified [(PUBMED:9914899), (PUBMED:10426429)]. 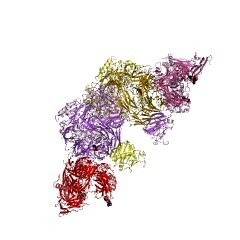 There are 5943 A2M_recep domains in 5897 proteins in SMART's nrdb database. 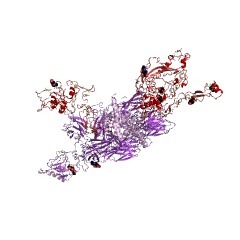 Taxonomic distribution of proteins containing A2M_recep domain. This tree includes only several representative species. 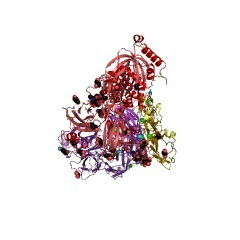 The complete taxonomic breakdown of all proteins with A2M_recep domain is also avaliable. 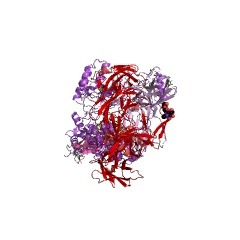 Click on the protein counts, or double click on taxonomic names to display all proteins containing A2M_recep domain in the selected taxonomic class. 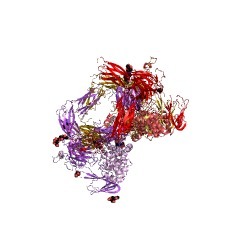 Structure of complement receptor 2 in complex with its C3d ligand. 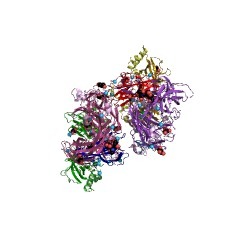 Complement receptor 2 (CR2/CD21) is an important receptor that amplifies Blymphocyte activation by bridging the innate and adaptive immune systems. 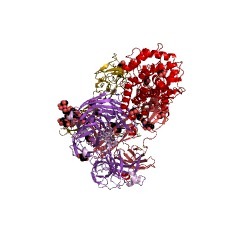 CR2ligands include complement C3d and Epstein-Barr virus glycoprotein 350/220. 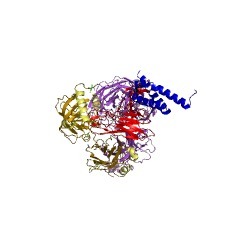 Wedescribe the x-ray structure of this CR2 domain in complex with C3d at 2.0angstroms. 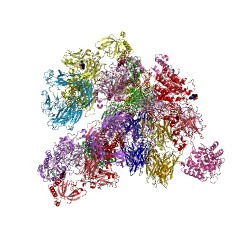 The structure reveals extensive main chain interactions between C3dand only one short consensus repeat (SCR) of CR2 and substantial SCR side-sidepacking. 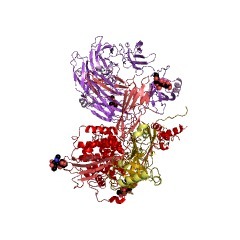 These results provide a detailed understanding of receptor-ligandinteractions in this protein family and reveal potential target sites formolecular drug design. 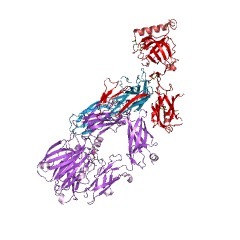 NMR solution structure of the receptor binding domain of humanalpha(2)-macroglobulin. 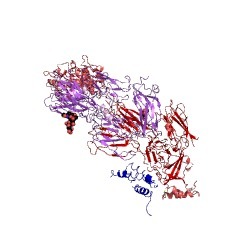 Human alpha(2)-macroglobulin-proteinase complexes bind to their receptor, the lowdensity lipoprotein receptor-related protein (LRP), through a discrete138-residue C-terminal receptor binding domain (RBD), which also binds to thebeta-amyloid peptide. 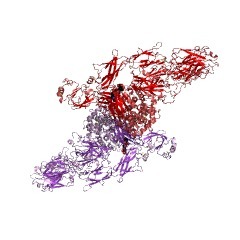 We have used NMR spectroscopy on recombinantly expresseduniformly (13)C/(15)N-labeled human RBD to determine its three-dimensionalstructure in solution. 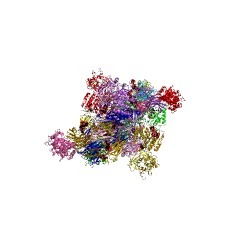 Human RBD is a sandwich of two antiparallel beta-sheets,one four-strand and one five-strand, and also contains one alpha-helix of 2.5turns and an additional 1-turn helical region. 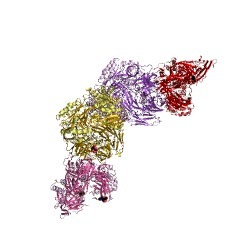 The principal alpha-helix containstwo lysine residues on the outer face that are known to be essential for receptorbinding. 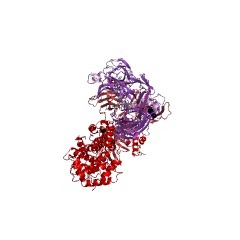 A calcium binding site (K(d) approximately 11 mM) is present in the loopregion at one end of the beta-sandwich. 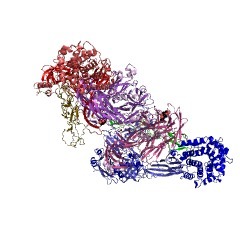 Calcium binding principally affects this loop region and does not significantly perturb the stable core structure of thedomain. 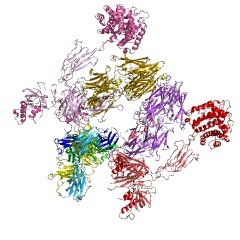 The structure and NMR assignments will enable us to examine in solutionspecific binding of RBD to domains of the receptor and to beta-amyloid peptide. 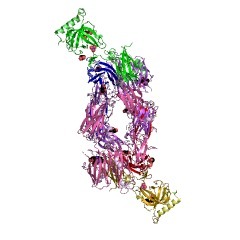 Structure of a rat alpha(1)-macroglobulin receptor-binding domain dimer. 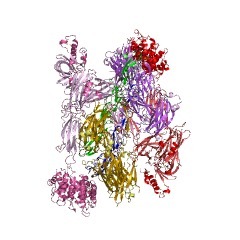 Alpha-macroglobulin inhibits a broad spectrum of proteinases by formingmacromolecular cages inside which proteinases are cross-linked and trapped. 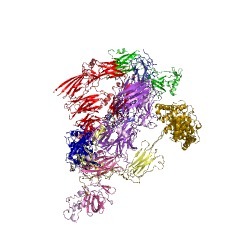 Upon formation of a complex with proteinase, alpha-macroglobulin undergoes a largeconformational change that results in the exposure of its receptor-binding domain(RBD). 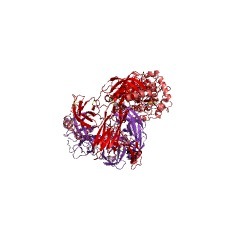 Engagement of this domain by alpha-macroglobulin receptor permitsclearance of the alpha-macroglobulin: proteinase complex from circulation. 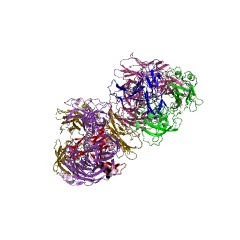 Thecrystal structure of rat alpha1-macroglobulin RBD has been determined at 2.3 Aresolution. 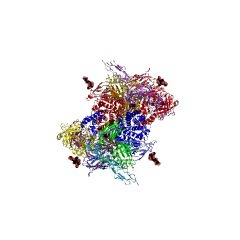 The RBD is composed of a nine-stranded beta-sandwich and a singlealpha-helix that has been implicated as part of the receptor binding site andthat lies on the surface of the beta-sandwich. 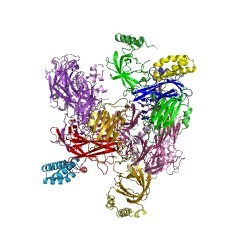 The crystallographic asymmetricunit contains a dimer of RBDs related by approximate twofold symmetry such thatthe putative receptor recognition sites of the two monomers are contiguous. 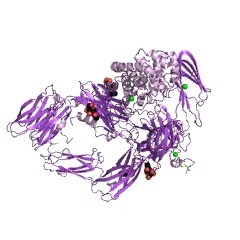 Bygel filtration and ultracentrifugation, it is shown that RBD dimers form insolution with a dissociation constant of approximately 50 microM. 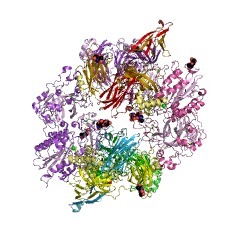 The structureof the RBD dimer might mimic a conformation of transformed alpha-macroglobulin inwhich the proposed receptor binding residues are exposed on one face of thedimer. 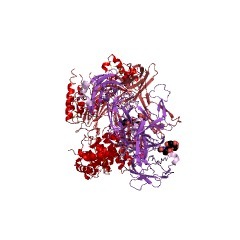 A pair of phenylalanine residues replaces a cystine that is conserved inother members of the macroglobulin family. 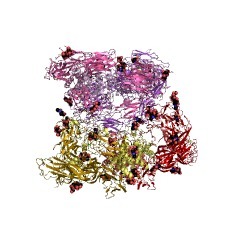 These residues participate in anetwork of aromatic side-chain interactions that appears to stabilize the dimerinterface. 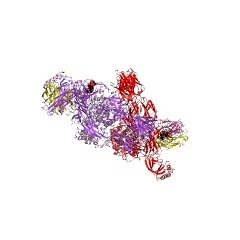 Structure at 1.44 A resolution of an N-terminally truncated form of the rat serumcomplement C3d fragment. 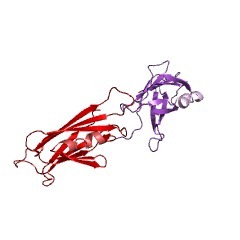 Complement component C3 plays a key role in the complement-mediated immunedefence, and occupies a central position within the complement cascade system.One of its degradation products, C3dg, was purified from rat serum andcrystallised in two different crystal forms as N-terminally truncated fragment.Despite the truncation and the lack of a significant portion of the N-terminus ascompared to C3d, the structure of the fragment is highly similar to that ofrecombinant human C3d (Nagar et al., Science 280 (1998) 1277-1281). 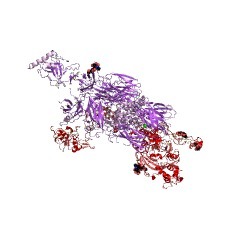 Structuraldetails of the reactive site have been obtained, suggesting a possible mode ofthioester bond formation between Cys-1010 and Gln-1013 and thioester bondcleavage in the transacylation reaction involving His-1126. 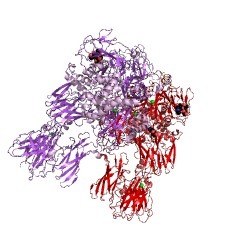 The truncation at theN-terminus of C3d leads to the exposure of a surface of the molecule that favoursdimerisation, so that in both crystal forms, the fragment is present as a dimer, with monomers related by a two-fold axis.